The Great Lakes are the largest bodies of freshwater in the world. Stretching from Minnesota to New York (as well as bordering Canada), these lakes cover a vast area that has become popular for roadtrips and cruises. There is so much to see in the region, from natural wonders to scenic cities. Here are just some of the biggest attractions worth going for. These mighty waterfalls are probably the most popular tourist sight in the region. They are the result of several waterfalls meeting up in the same place and have the highest flow rate of any waterfall in North America. For a unique trip, it’s worth visiting this natural wonder at night. After dark, the falls are illuminated – sometimes accompanied by fireworks and music. Night cruises are available in which you can see the falls up close with snacks and beverages included. For those wanting to get out on the lake itself, there’s no better way than to take a kayak trip. The best place for a scenic paddle is Put-in-Bay, which is located in the middle of Lake Eerie on South Bass Island. It could be worth booking some Put-in-Bay condos for a couple nights so that you can make the most of this beautiful lakeside town. On top of kayaking, you can take a tour of the neighbouring wineries and see Crystal Cave, which contains the world’s largest geode. 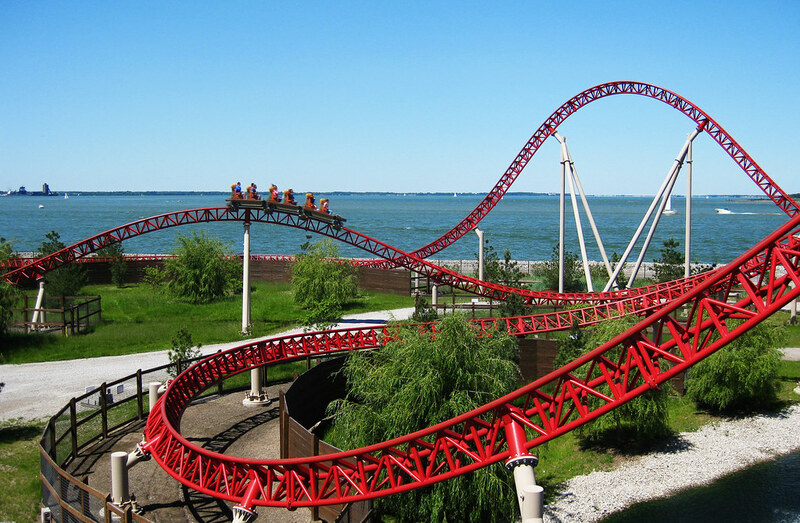 Cedar Point in Ohio is a Mecca for rollercoaster lovers. It’s nicknamed ‘the rollercoaster capital of the world’ sporting seventeen rollercoasters including wooden ones and steel ones. Blue Streak is the park’s oldest, built in 1964. There are lots of other attractions nearby for thrill-seekers including Ghostly Manor Thrill Centre and a myriad of waterparks. Cedar Point is right on the edge of Lake Eerie. Those eager for a roadtrip could consider taking the Great Lakes Circle Tour. This could allow you to see all the lakes from the road (make sure to bring your passport if you fancy also including Canada in your tour). One of the most scenic roads along the way is Indiana’s Route 12 (the ‘Dunes Highway’) from Gary to Michigan. This passes through Indiana Dunes National Lakeshore – a preserved national park containing several beautiful lake beaches and creeks. The road is historic and dates back to 1900. There are many other landmarks along the roadside worth taking in – it’s the perfect road trip for bringing a Go Pro! Cleveland is one of the most buzzing cities in the region and is full of things to see and do. Music fanatics will love the Rock And Roll Hall Of Fame, which contains a great number of memorabilia including costumes worn by the Beatles, gloves worn by Michael Jackson and Elvis’s very own Cadillac. The world-renowned Cleveland Orchestra are also worth seeing at Severance Hall whilst in town. There are also attractions such as Cleveland Museum of Art and the Buckland Gallery of Witchcraft and Magick. Chicago (aka ‘Second City’) is the birthplace of the skyscraper. Among it’s many soaring buildings is the mighty Willis Tower, which is the largest skyscraper in North America standing 527 metres. You can take a trip to the top at the Skydeck and take in the breathtaking views from a scary glass-bottomed ledge. Whilst in Chicago it’s worth also seeing some of city’s other sites. These include Oz park – a park themed around the world found in the Wizard of Oz – and shiny sculpture Cloud Gate. Don’t forget to also taste some of the city’s world-renowned pizza at one of the many Chicago pizzerias. In Dayton, Ohio you’ll find Huffman Prairie Flying Field which houses one of the very first airplanes flown by the Wright Brothers in 1905. This isn’t the only attraction that airplane lovers can see in Dayton – a stone’s throw away is the US Airforce National Museum, which is the oldest and largest museum dedicated to aviation in the world. The Vectren Dayton Airshow is also a popular event which takes place at Dayton International Airport. It’s one of the largest air shows in America and attracts thousands of people every year. Looking for somewhere to grab a few bevvies and unwind? Milwaukee is often known as ‘Brew City’ and is the world’s leading beer producer. It should come as no surprise that there are some incredible craft beer bars here, containing some of the most rarest barrel-aged brews in America. There are also many brewery tours in Milwaukee including the iconic Lakefront Brewery. 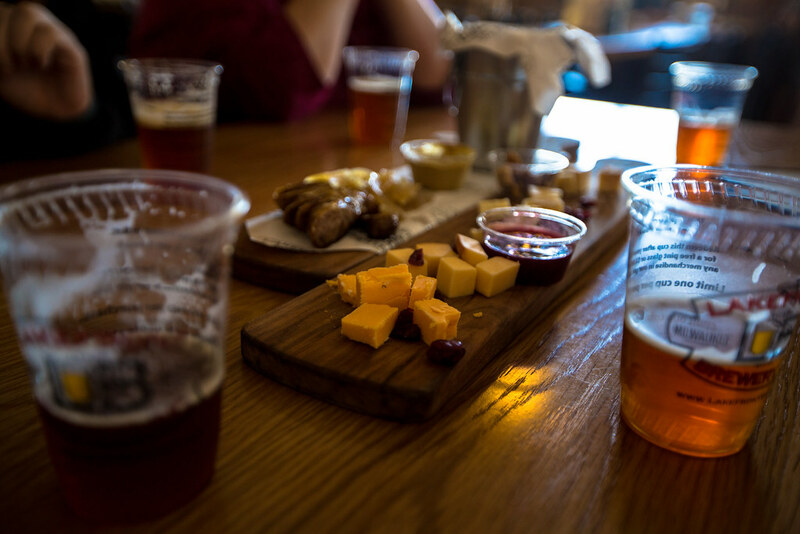 On top of being a hotspot for beer, Milwaukee also has some great places to eat including award-winning steakhouses, fish restaurants and Italian bistros. It’s definitely a place for treating the tastebuds. This museum in Lake Shore is vast, containing over 30 million artefacts. It’s home to the largest T-rex skeleton yet discovered, as well as housing a collection of 23 Egyptian mummies spread out over a reconstructed tomb. The museum’s Hall of Gems meanwhile is full of precious stones and jewellery dating back centuries. Few people manage to see the whole museum in the day – you may want to book a guided tour just to navigate your way around this museum.